I am mailing this in great sadness. I was very upset and depressed due to my parent’s illness and finances and family problems. 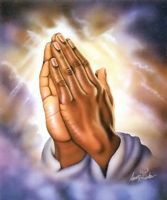 I wrote to many prayer requests for prayers and I got soothing and comforting replies but my problems are still the same. Today when we took my mother for check up the Doctor said that she needs surgery for both her eyes. I was praying that it should be cured without surgery. I am so sad and upset. I am in great financial crisis since I don’t have money to give for surgery. I am trying to borrow from a known person, but I do not know whether he will help us. My brother doesn't help us in any way. Please pray for my parents. My mother Cicily is diabetic, BP, and she has a cataract problem. The doctor has advised surgery but we do not have money for the same. Please pray that for the next checkup she should be free from cataract, that God's miraculous hand should touch her and she should be cured of all her diseases without any surgery. Please do pray for my Dad Thomas Sourier who has gone into depression and has spinal pain, diabetes and also some itching in his private parts due to diabetes. He also has a heart problem. He should be cured, Lord. I want my parents to be healthy and fit as they were earlier. Also pray for my finances, my pregnancy this month (or else it might lead us to severe family problems). My husband Joby and me are facing severe financial problems because we lost our job. We are going to start a food catering business. We are trying to get orders from our locality because we do not have a vehicle for supply. Please, Lord, help us with ample orders and finances so that we could run our business. Also there is a neighbour lady named Radha who is doing witchcraft and spreading gossip to break our family. She has to return us back our money which she had borrowed but unfortunately, she is not returning our money to us. My husband's family members are also trying to create a rift between me and my husband, due in part to the fact that my husband is very bad to me at times and abuses me and tells me to get lost sometimes. Everything could become all right if I conceive this month. My husband had fertility problems but now it has been treated but still I didn't conceive. We have been married now for three years. Please Lord please help us to come out of these problems and lead a healthy and happy life. I am sad and upset because of all these. Please, Lord, please touch me and all the members of my family. Please work miracles in our lives. Great Thanks to Dr ehicare for helping me when i needed help. Contact him today on: drehicarespelltemple@gmail.com or call him on these number +2347037098000. Am Emily Powell from Canada I never believed in spell casters until my life fell apart when my lover of 4 years decided to call it quit. I was so devastated that i had an accident that left me bedridden. After 7 months of emotional pain and languish, a friend of mine introduced me to a certain spell caster, this was after I have been scammed by various fake spell caster. I was introduced to DR ONIHA ( A Spell Caster). In less than 12 hrs i saw wonders, my Lover came back to me and my life got back just like a completed puzzle... am so happy.. Dr ONIHA have all kinds of spells from pregnancy to love,from employment to visa lottery winning. He has spell to stop divorce,spell to make someone look attractive and others. here's his contact for serious minded people only, it might be of help....onihaspiritualtemple@yahoo.com. wow Dr.ONIHA...thanks am so grateful as you saved my life. I expected to see some improvements in my love life after I contacted Gboco and asked him to send out a spell to the Universe for me, but I didn’t expect a life-changing experience, that’s for sure! Still, though, that’s what I got! I’m not only in love, I’m going to be moving to my soon-to-be-fiance’s state next month! We probably would never even have met if it weren’t for gbocotemple@yahoo.com and his wonderful powers of peace and love. I wish you all the peace and love you sent me, DR Gboco. Please help me to that my pregnancy will be successful. In times that I give birth I hope that my life and the life of my child will be survive. Please help me to pray that I can give birth to my child through normal birth. To combat the difficulties that you face, the prayer for protection (address below) will be a powerful tool. You are a strong woman and you are only being tried. Always remember that we are each given only as much as we can carry. May our dearest Jesus guide you and bless you! May you feel His peace in your heart! I hope you will soon find the relief you seek.